Our first year attending the MIAC tradeshow (Music Industry Association of Canada) was a huge success. There were several retailers and distributors who showed great enthusiasm for our product. 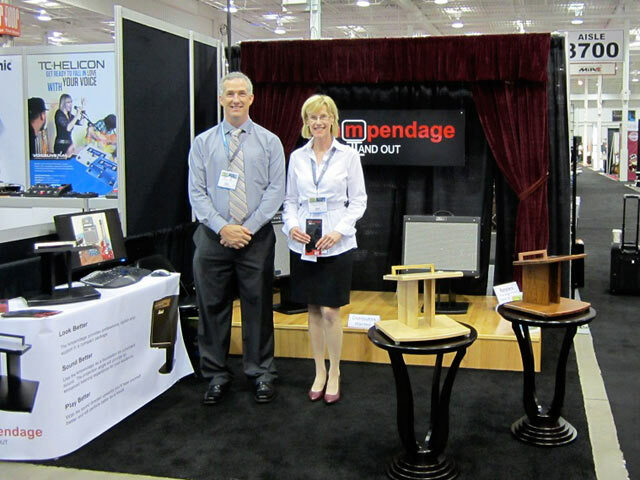 We were especially pleased with the reaction to our new models, the maple and teak Ampendages. People were amazed that we could offer such great quality at an affordable price. Many people had never seen an Ampendage before and congratulated us such a great idea. Overall we couldn’t be more pleased with how the product was received. As a result of contacts made at the show we expect to have Ampendages appearing in retail stores before the end of the summer. We can’t wait to attend the MIAC show again next year.